“The happiest moment for me is to see an SME, like a furniture designing firm, expanding in leaps and bounds. 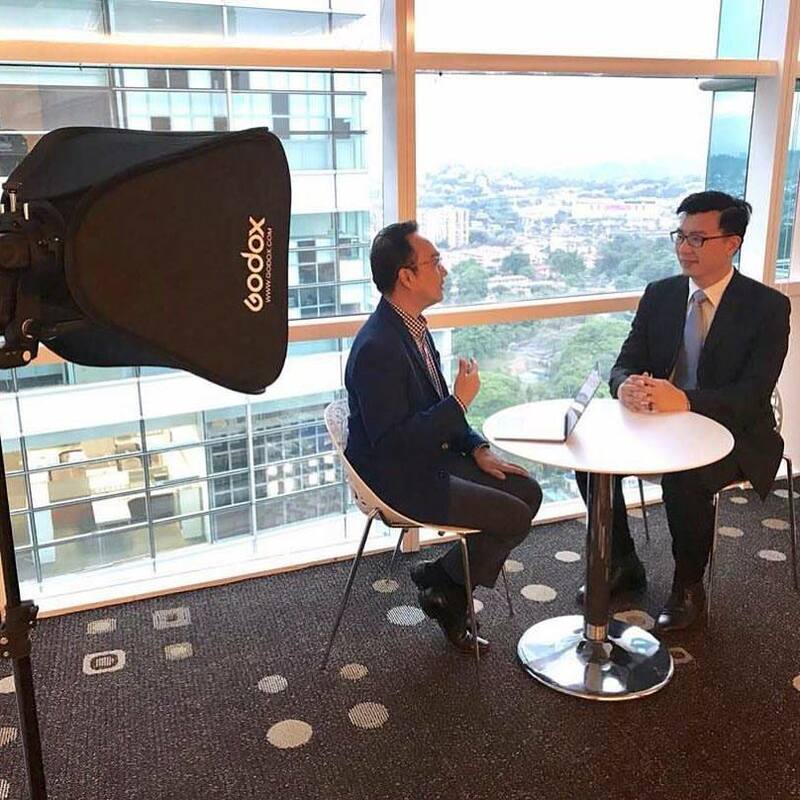 They have started to implement standardised procedures and practice proper corporate governance.” Mr Ng Kee Peng, Managing Partner of Freedom Venture PLT, proudly said with a twinkle in his eyes. Like a father witnessing the graduation of his beloved children, Kee Peng feels the same with the success of SMEs he helped to grow. After running a successful business, many businessmen are in a dilemma whether to stay as they are or expand their business. They may consider to have more outlets for their retail business or to invite investors to join in their quest to success. Whichever way they want their business to multiply, they need funds. The first thing they will do to get more funding is through bank loans. “But the funding is low and the cost of financing is high.” Kee Peng laid down the disadvantages of funding from financial institutions. Recently, Kee Peng worked with a group of Indian entrepreneurs who have reached their prime age. Most of them are already in their 40s and 50s. They have businesses in hotel, tourism and many are in retail. After having managed their businesses for many years in Malaysia, they are suddenly struck with a crucial decision about expansion and raising funds. “Actually, many businessmen in Malaysia are also facing the dilemma. After many years in business, suddenly they realise that the preparation for expansion should have been done the first day they started their business. For many, it could have been thirty years ago.” Kee Peng hopes that all entrepreneurs, whether they are in India or Malaysia or anywhere in the world, are equipped with the knowledge to bring their company to another level. “Look at new startups like Grab and Uber, just within a short span of time, they have raised millions (even billions) of ringgit through their funding exercises. Comparatively, look at how conventional businesses operate. They could spend their lifetime to accumulate enough funds to afford to just open one more outlet.” He explained the distinction between a well developed business plan and a family owned business which is run entirely by a patriarch or matriarch who leads and decides on every business issue. Why are companies facing difficulties to expand or seek investors? 1. They don't have enough funds to grow. Most importantly, many companies do not have a financial plan to start with. Plain and simple, they don’t know how to manage their funds. 2. The most common practice for companies to get funds is to get a bank loan. This is not the wisest move because the cost of financing is high and the amount you get is low. 3. Engaging family members as staff. Mainly for convenience, some company directors get their relative and family members to take up roles in the company. Most of them are not qualified or have the experience to handle the daily corporate matters, hence records and data are not kept in order. 4. Most family run businesses are not willing to provide training for their staff. For whatever reasons, many companies neglect the pivotal requirement for efficiency. People need to be trained and updated on the current working trends and procedures. 5. There is no proper corporate governance. As startups are usually an individual idea and later a few partners joined, they fail to standardise procedures as simple as a board meeting. Even to implement consistency in executing the daily working plans is overlooked. 6.There is no succession plan. Everything is decided and implemented by the boss. Most will want to pass the business to their children, thinking that their children will be the appropriate successor. Fact be told that not all children are capable or have the abilities to run a company. Neither are they interested in the business. What will be the first thing to do when a company has come to a standstill? After a few years in operation, there is an idea to go big, but how? “What we will do first is to determine where you are now and where you wish to go?” Kee Peng advised. Straight to the point. As with his recent experience speaking with the Indian entrepreneurs, most of them do not want to continue working. They want to retire or take things a little easier and pass the bulk of the decision making to others. These sentiments are felt by any businessman who is in business for a number of years. Local businessman will tell you the same, but how do they let go? Are the companies looking for buyers or investors to take over the business? The directions of businesses these days are dynamic collaborations. Look at the current acquisition which is already a global phenomenon. Recently, Lazada has attracted a huge investor, Alibaba, who has pumped in USD1billion. Alibaba needs a company who knows the South East Asian region better. The best company to collaborate is the one who has a good customer base in that region. “You have to build a company that is bankable and investable. Foreign companies are getting to places. There are only two ways to get to where they want to go in the shortest time; one is to build the company on their own, the other is to acquire existing companies,” Kee Peng illustrated an important point for SMEs to consider. “Many businessmen are unwilling to share their hard earned reputation and the company’s success with others. We should think of progress now. Look at the exponential growth of Lazada, Grab and Uber who can raise billions of dollars under five years in operation as compared to conventional companies with a slow funding growth which may take up a period of over two decades.” Kee Peng is encouraging companies to look into working out an operational business model. "Internal organic growth is notably limited and slow," he cautioned. Yong, Co-founder and CEO of CO3 Social Office, has one belief that keeps him motivated, what is it? Read more.